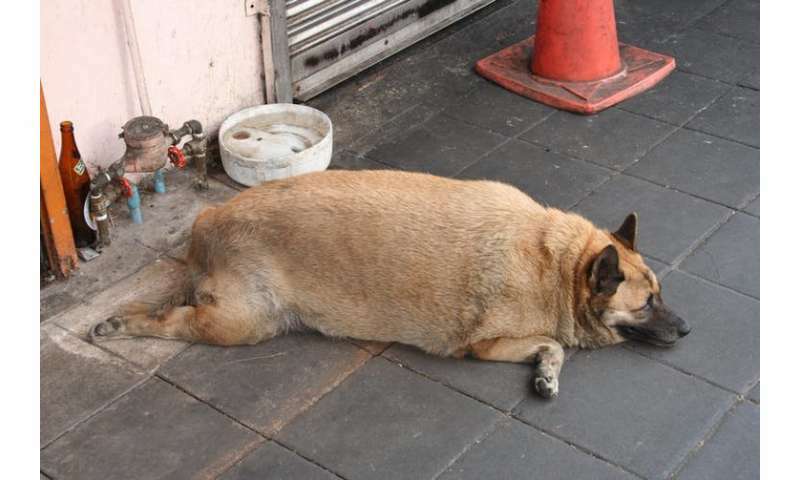 We're all told we need to eat healthier and exercise more to combat obesity, but did you know that there's also an obesity epidemic among pets, at least in the West? Between 39% and 59% of pet dogs in Europe, Australia and the US are estimated to be overweight or obese. In fact, obesity is now considered the biggest threat to the the health and well-being of our pets. 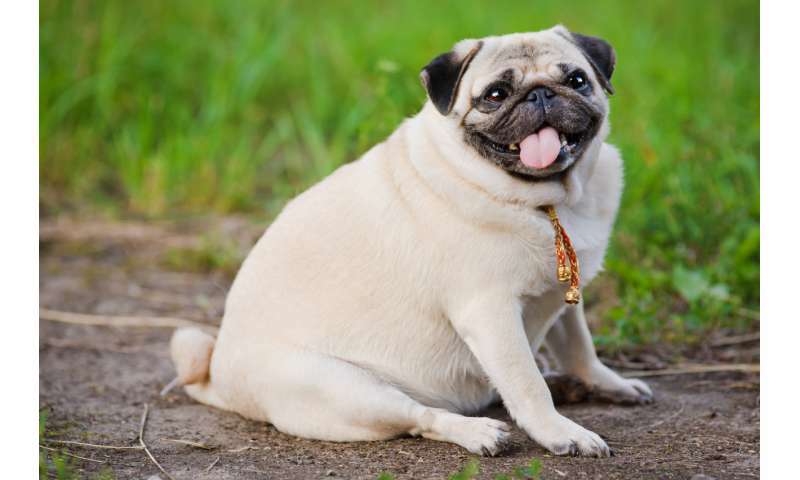 Just as in humans, obesity in dogs involves many different factors. Certain breeds of dog seem to be more prone to obesity than others, and scientists have found a genetic mutation that seems to make dogs more likely to seek out food. So genetics certainly seems to be involved, alongside the amount of food and exercise dogs get. But one aspect of obesity in dogs that has received little attention to date is the emotional and cognitive aspect. That is to say, how motivated different dogs are to access food, and how personality traits such as the response to rewards might play a part. In a new study published in Royal Society Open Science, a team of European researchers have looked at just that. They found that overweight dogs were more likely to choose food containing larger amounts of energy, and more likely to hesitate if they didn't know what kind of reward they were being offered. This could be interpreted in different ways but, at the very least, it shows the importance of individual behaviour and "personality" when it comes to obesity in dogs. This supports the suggestion that dogs could be a promising model for experimentally investigating the emotional and cognitive aspects of obesity in humans. Scientists have shown that overweight and obese people often record a stronger attraction to energy-rich foods high in fat and sugar than people of healthy weight. Scientists think how attracted you are to these foods is related to how sensitive to rewards you are. This is seen as a "personality" trait that differs between individuals and is part of the brain's reward system. The researchers in the latest study wanted to see if the eating habit of dogs and therefore their weight were related to their sensitivity to rewards in a similar way. To do this, they measured how long the dogs would listen to a human indicating at a bowl of low-energy food when a second bowl of high-energy, more rewarding food was also available. The researchers also studied how eager the dogs were to reach a bowl of food whose energy content was unknown, offering an ambiguous reward. Using these tasks, the authors concluded that dogs behaved in a similar way to people. The overweight dogs were more likely to choose the higher-energy reward compared to dogs of an ideal weight, even when it meant ignoring directions given by a person. The overweight dogs were also slower to respond to the ambiguous reward. The researchers concluded that this showed overweight dogs were indeed more sensitive to rewards. But there could be an alternative explanation for their findings. Overweight dogs might have more sensitive energy regulation systems. This could be mean they would be more likely to conserve their energy when the rewards of acting are uncertain, and more motivated to consumer higher-value foods. Obesity in dogs is rising, and overweight dogs die sooner and are more likely to develop chronic health conditions such as osteoarthritis and diabetes than non-overweight dogs. For these reasons alone, understanding the factors that contribute to obesity in dogs is worthwhile. But whatever the explanation for the latest findings, the fact the overweight and ideal weight dogs behaved differently suggests this kind of experiment could be useful for scientists wanting to understand the psychological aspects of obesity more generally. Experimental studies of human behaviour have to adhere to strict ethical regulations, which often makes studying motivations challenging because you need to deceive those participating. If you're told a study is about your behaviour around food, you would likely act differently than if you didn't know what it was about. But non-invasive studies of dog behaviour such as this one can be conducted on pet dogs without the same ethical qualms, while providing the dogs themselves with a free meal and a fun day out.